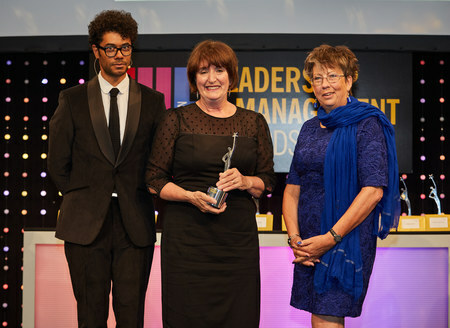 The winners of the 2018 THE Leadership and Management Awards, held in association with Advance HE, were announced on Thursday 21 June 2018 at the Grosvenor House Hotel, Park Lane, London. The London School of Economics and Political Science attracts more than 20,000 applicants for its 1,500 undergraduate places each academic year. In a bid to improve the diversity of its intake, the admissions team decided to incorporate additional contextual data into its decision-making. Using a flagging system that included social metrics such as postcodes as well as straight educational achievement in exams, they were able to assess academic performance within a much wider context. The results were striking. There was immediate improvement on all the metrics commonly used to measure success in widening access, and further improvement across subsequent application cycles. The clearest evidence came from a notable rise in the number of offers to and places taken up by applicants who come from backgrounds that make them least likely to attend higher education. 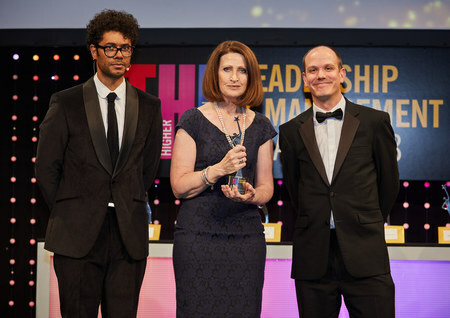 The LSE’s achievements were highlighted by the independent thinktank Reform, which calculated in a report that if other universities made the same progress that the LSE had in 2015-16 alone, we would see more than 3,500 extra students from widening participation backgrounds admitted to the top 29 universities in the UK. 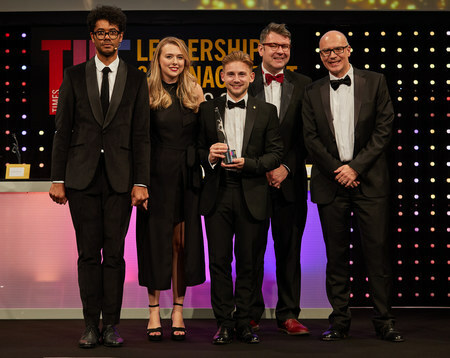 The judges were impressed by the “LSE’s innovative use of socio-economic flagging to support a more positive approach to widening participation”. “Through improved use and presentation of an applicant’s contextual information, selectors are able to make more informed decisions to ensure fair and more equal consideration is given to applicants,” they said. De Montfort University’s winning entry centred on an international outreach programme that was created in partnership with the charity Manav Sadhna, based in Ahmedabad, Gujarat, to support one of India’s poorest communities. Through DMU Square Mile India, staff and students raised more than £45,000 to help 120 children of the lowest caste get a better education and receive more nutritious food. Bespoke outreach projects offered supplementary learning as well as sports and health outreach activities, while also supporting research that benefited impoverished children and adults in a neighbouring area. For example, about 50 nursing and midwifery students trained more than 300 health workers, volunteers and preschool teachers in Ahmedabad in areas such as basic first aid, female and adolescent health and mental health awareness. Meanwhile, audiology students tested the hearing of more than 350 people in four days, resulting in 150 hearing aids being fitted. The programme has already contributed to increased student recruitment from India: more than 130 Gujarati students came to DMU in the past year, up from just 15 in 2016. With the closure of the SSI steelworks in 2015 came the end of steel production, a loss of 3,000 jobs and a huge economic blow to the Tees Valley. In response, Teesside University set about developing a knowledge exchange initiative specifically to boost business and employment in the region. Its strategy, DigitalCity – Catalyst for Growth, outlined a five-point plan for the area to become recognised as a leading digital hub for businesses. DigitalCity – a partnership between the university and the Tees Valley Combined Authority – was designed to work with both digital and non-digital businesses to stimulate digital innovation and investment, building on a series of recommendations made by Lord Heseltine to create a “strong and sustainable economic future” for the area. As part of the five-point plan, Teesside University focused on nurturing digital start-ups as well as supporting the digital growth of existing businesses. It took action to provide businesses with research capability and expertise to assist their growth and improve their competitiveness, thus helping to prepare them for the fourth industrial revolution and the rise of automation. The university has also been working to foster digital skills and talent, equipping individuals and businesses with the cutting-edge knowledge and skills needed to face a changing workplace and economy. Since the 2016-17 academic year, more than 40 new digital businesses have been created with help from the scheme. 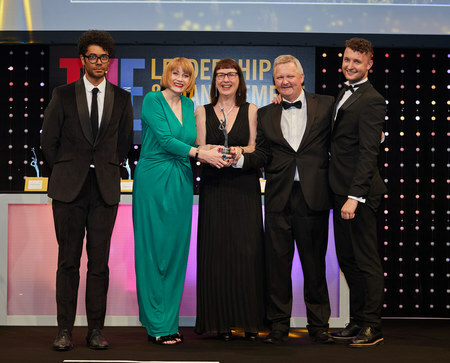 The judges praised Teesside University as a “driving force behind the digital transformation of the Tees Valley’s economy, playing a vital role in connecting the region to new opportunities and networks”. 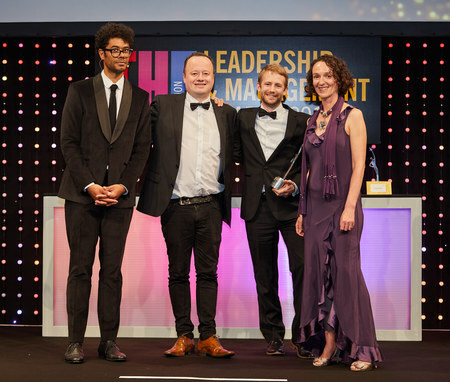 For its triumph in the Outstanding Digital Innovation of the Year category, Leeds Beckett University can thank Becky: a chatbot built on a shoestring that offered a return on investment worth £2.4 million. Becky was built in just two months to support the institution’s clearing recruitment campaign, amid concerns that its target audience feel uncomfortable talking to university staff on the phone. Initially, the aim was to create a service that provided information to help students with their decision-making, for example, about accommodation, scholarships and student support. It quickly became apparent, however, that the technology could be used to provide information about course availability and, ultimately, to offer places. Using information on entry requirements and undertaking a diagnostic discussion with the applicant to establish their suitability, Becky made 215 offers to 191 individuals, 89 of which were taken up. This conversion rate of 47 per cent compared extremely well to the overall conversion rate of 26 per cent, and will result in the university receiving almost £2.5 million in tuition fee income. All offers made using the bot were subject to verification to ensure that applicants had the qualifications that they claimed to have. Our panel said that the chatbot had caught their imagination “as a bold innovation successfully applied in a high-stakes environment”. “We liked the way that a technology that had worked in other sectors was transferred to higher education at Leeds Beckett and got straight on with answering potential applicants’ questions about the university, even offering them places,” the judges said. The Growth Hub is an initiative run by the University of Gloucestershire and the county’s local enterprise partnership aimed at improving engagement between the university and small and medium-sized enterprises, with a view to driving employment and business growth. The programme, which was supported by the Higher Education Funding Council for England, has created 30 new work-based learning programmes, and offers a range of business support services. To boost engagement with businesses not already directly involved in the hub, the university leveraged existing networks with local representative organisations that had strong working relationships with less engaged local communities, allowing the project to recruit participants quickly and in large numbers. The Growth Hub also collaborated with larger employers on ways to improve workforce skills, responding to the introduction of the apprenticeship levy. To “simplify” the business support landscape in Gloucestershire, a network of 200 provider partners was built so that support services could be delivered through a “single front door”. Independent evaluation by BiGGAR Economics shows that almost 8,000 business support interventions were delivered as a result of the programme. Meanwhile, 13,655 work placements and internships have been created through the scheme, and 1,872 University of Gloucestershire graduates have taken up jobs supporting the local region. The judges said that the project had “exceeded its ambitious targets” and had made “a vital contribution to local economic sustainability”. When Norwich University of the Arts set out its ambitious plan to build a new urban campus and cultural quarter for the city, environmental and financial sustainability were at the forefront of its strategy. Three major sites have been renovated as teaching, studio and exhibition spaces, taking into account energy efficiency and reduction of carbon emissions, and all fall within 500 metres of the institution’s original home. Emphasis was placed on renovation rather than new build, with the pre-existing Guntons building redesigned to incorporate better natural lighting at a cost of £985,000. Boardman House, a Grade II-listed Sunday school designed by Sir Edward Boardman in 1879, was acquired and renovated at a cost of £3.57 million to serve as home to the university’s new architecture programme and to the institution’s film and moving image production courses. The building’s renovation won the university a regional award from the Royal Institute of British Architects. Cavendish House, a near-derelict former shop building, was bought and remodelled at a cost of £2.1 million to create gallery space, a user-experience lab and a business-focused creative consultancy space. Analysis by Brite Green in 2017 forecast that the institution would exceed its 20 per cent carbon dioxide emissions reduction target by the year 2020 as a result of the renovations. 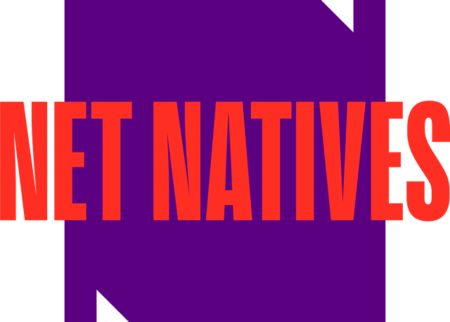 The judges were impressed by the vision of the university’s estate plan, both in supporting the university’s core strategy and in helping to build up the cultural quarter of Norwich. They praised Norwich University of the Arts for achieving “a great deal with a relatively modest budget”. 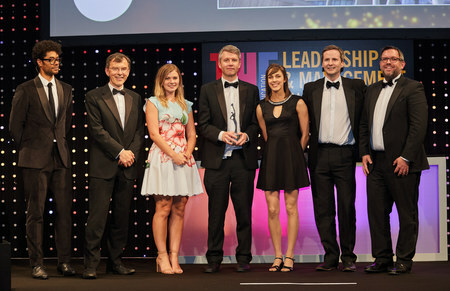 The judges in this category were impressed by how the implementation of a new strategy led to improved performance that drove financial stability across an institution. 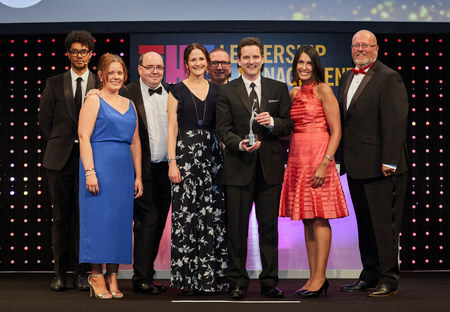 The finance team at the University of Edinburgh, the judges said, had improved the efficiency of processes, delivered training to staff to improve knowledge and secured significant procurement savings. According to Edinburgh’s submission, the procurement savings totalled about £13.7 million in 2016-17, the result of “higher value competitive tenders” achieved by the university’s procurement experts. Delivery of the university’s year-end financial results was streamlined by using a “rigorous project management approach” that allowed draft results to be presented just four weeks after the academic year’s end. Also introduced was a new financial planning and forecasting methodology based on “transparent accounting principles” to create a financial model that all staff could understand and use. This now helps Edinburgh to deliver three-year rolling forecasts each quarter. 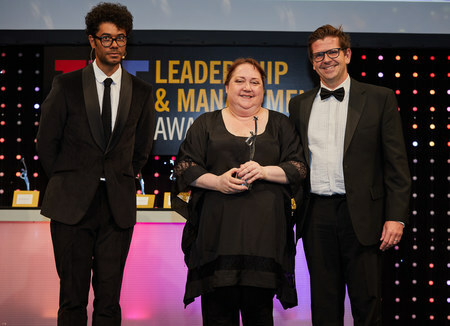 In awarding Edinburgh the prize, the judges said that they took into consideration how the institution benefited from the implementation of the new strategy compared with previous years. They were impressed by the submission, which demonstrated that the finance team was at the heart of the organisation and was helping to instil financial stability in all areas of the university. 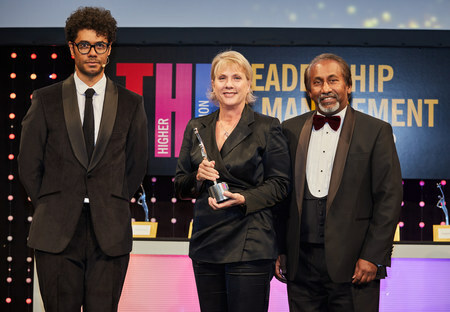 The judges pointed out that the institution’s fiscal responsibility extended to “effective use of funds”, which led to its becoming the first UK university to invest in Big Issue Invest, the social investment arm of the Big Issue Group, which funds social enterprises that tackle social problems such as homelessness and youth employment. 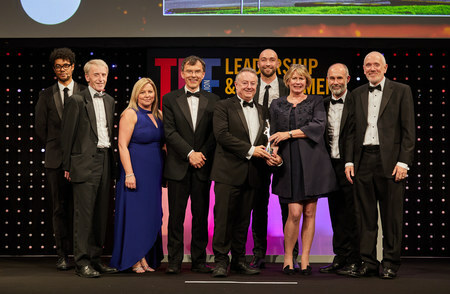 The judges praised the University of Huddersfield’s leadership team for “pulling together to create a truly impressive transformation right across the university”. Several years ago, Huddersfield’s nine-strong executive team – seven of whom have been working together for 10 years – decided to focus on creating a “strategy map” for the institution running from 2013 to 2018. In following this, the emphasis was on achieving institutional excellence across teaching quality, staff qualifications, financial health and quality of estate, and by 2016-17 the results were clearly evident. 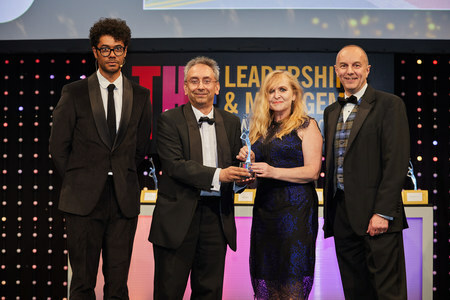 That year, the university’s success on its strategy was recognised repeatedly: it was revealed to have the highest proportion of academic staff with teaching qualifications or accreditation in England (90 per cent); it was ranked as the top mainstream higher education institution in England by the Higher Education Statistics Agency’s financial security index for the fifth successive year; and it performed strongly in Hesa data on the condition of university estates. 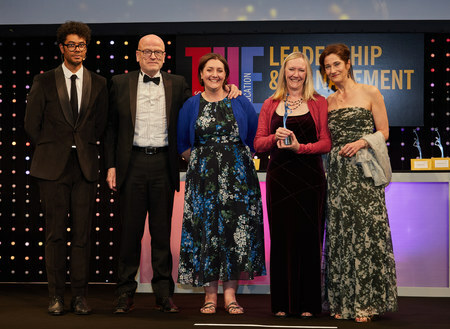 Also that year, Huddersfield won not only a gold award in the teaching excellence framework, but also first place in the Higher Education Academy’s Global Teaching Excellence Awards. One strategic aim was to create an exemplary resource base, and Huddersfield is now delivering a £250 million capital plan – without borrowing. The library services at the universities of Leeds, Sheffield and York began working together as White Rose Libraries in 2004, and in White Rose Research Online created what is still the only collaborative repository service in the sector. The emphasis in recent years has been on developing a deeper partnership that aims to drive through efficiencies and maximise value for money. In 2016, the libraries launched the UK’s only online collaborative university press, White Rose University Press, and two new journals began publication in the 2016-17 academic year. By the end of 2017, the first 15 articles had been viewed more than 2,200 times and had been downloaded in excess of 650 times by a readership across the world. The press’ model for monographs, combining open access with author-retained copyright, makes its own contribution to debates around the future of academic publishing. The libraries have been equally active in addressing the major challenges of managing print holdings by examining their separate collections with the help of the GreenGrass analysis tool, its first collaborative application in the UK. Jisc, UK higher education’s main technology body, took a great interest in the project and commissioned a formal report, which has issued a number of recommendations and has formed the basis for wider national discussion. In winning this category, the University of Glasgow gains recognition for a successful strategy, “Meet ‘World Changing Glasgow’”, to differentiate itself and to support its ambition to be known as not only a world-class university, but also a world-changing one. One big innovation under the strategy was that, for the first time in the university’s history, the marketing team led on the creation of six new strategic research themes and an accompanying communications framework to capture its research impact. This resulted in a 39 per cent increase in research page views. Meanwhile, a redesign of the university’s website made it more appealing and user-friendly and delivered a 90 per cent decrease in bounce rates. The strategy also put a great emphasis on social media, to good effect. The #TeamUoG campaign, which aimed to convert applications into enrolments, succeeded in helping to raise the number of international entrants by 17 per cent (exceeding a 10 per cent target), while 93 per cent of students said that they felt welcome in a new survey. And to ensure that staff understood the brand and deployed it effectively across all areas, the university arranged regular internal workshops and updates. The judges said that Glasgow’s entry “stood out in a very strong field for the scale of the work undertaken, the expertly coordinated approach and the breadth of the impact the team has had”. “Their entry demonstrated that the team had developed and communicated an inspiring value proposition for the university, while engaging applicants, students, alumni, influencers and members of the academic community,” they said. 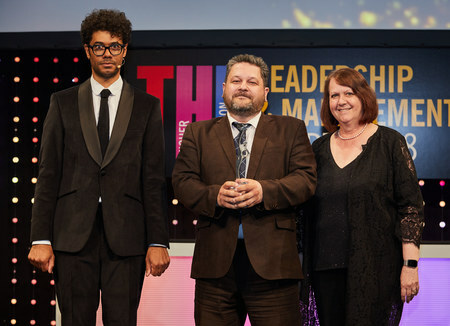 A data-based strategy that identifies students at risk of dropping out – combined with interventions to help them stay the course – earned the University of Huddersfield the accolade for Outstanding Strategic Planning Team. 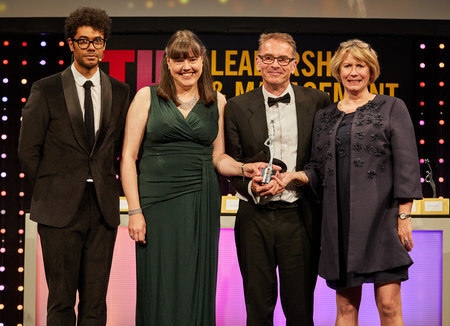 Huddersfield’s strategic planning team, which has been responsible for implementing a five-year plan to enhance the student experience across the university, identified metrics to evaluate the student experience – dropout rates, student satisfaction, degree outcomes and employment – and hired a research fellow to run statistical analyses of the data. This revealed that ethnicity was a proxy for many other factors, including living at home, having caring responsibilities for siblings and level of parental education – all of which needed to be understood when supporting students. The team communicated the results to the students’ union, student support services, personal tutors and the university senior management team. They also designed a range of interventions, including the Student Priority Support System, which ranked students by their risk of dropping out and used nudge theory to help keep them at university. Since the project was launched, there has been improvement across all four metrics. Delegations from the Department for Education and from Danish universities have visited Huddersfield to learn more about the project. Most students will need a helping hand at some point to stay on course – and, at London South Bank University, this support is being provided by a team of “student engagement interns”. Working across six schools, the interns are recent graduates who have been tasked with engaging with current students and improving retention and progression rates. They do this by offering a listening ear to students and by directly contacting those thought to be at risk of dropping out, based on data from the university’s new engagement dashboard. The interns have also undertaken other activities, including establishing societies, running study sessions and careers events, and working to improve relations between students and departments by, for example, setting up a “tea with the dean” event. According to LSBU, the interns have had a significant positive impact, contributing to an 8.5 per cent reduction in the university’s withdrawal rate, meaning that 124 students at high risk of dropping out stayed on. The re-enrolment rate over the summer also improved, from 85 per cent to 89 per cent. There was a financial benefit, too: the interns, on 11-month contracts, were paid the London Living Wage, taking the cost of the programme to £123,000. The estimated retained income via retention and re-enrolment, meanwhile, was £5.5 million. Several interns later took up permanent employment with LSBU. The judges were impressed by how the programme “brought benefits to the graduates acting as interns as well as to the students they have supported”. 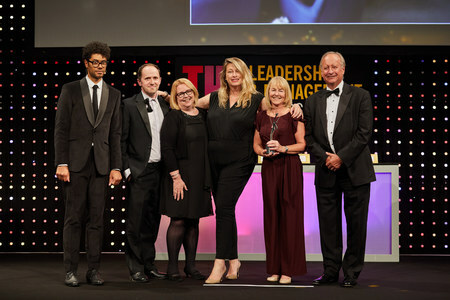 The University of Derby claimed the award for Teaching and Learning Strategy of the Year for what the judges called an “excellent example of a strategy and implementation plan around three key pillars of learning and teaching: teaching quality, employability and a research-informed curriculum”. Among the good practice commended by judges was Derby’s launch of digital badges that recognise staff who have implemented new pedagogic approaches that enhance student learning.  Professional development targets have also been set for all teaching staff – two-thirds of staff now hold a teaching qualification – an institution-wide teaching observation scheme has been started, and the university’s internal teaching awards have been upgraded. The university is also making significant progress to build the digital capability of its staff and students, which has included staff training and the appointment of student digital champions. Also drawing praise from the judging panel was the introduction of a new student entitlement to a minimum of 30 hours of work-related learning in every undergraduate programme. Derby’s 10 per cent increase in graduate employment rates demonstrated, according to the judges, the impact of embedding employability and entrepreneurship activities in the curriculum, as well as the value of expanding co-curricular activities. The university has already been awarded gold in the first teaching excellence framework and was also named a finalist in the Higher Education Academy’s Global Teaching Excellence Awards last year. The new Times Higher Education European Teaching Rankings, due to be published next month, are set to provide fresh insights into the comparative teaching performance of the continent’s universities. Much of the data that will inform the exercise are based on THE’s new European Student Survey, which has gathered the views of thousands of students on a range of topics, including their academic and social engagement with institutions, the accessibility of staff and the quality of facilities. This year’s THE DataPoints Merit Award provides an early snapshot of the results for UK universities by zeroing in on the scores given by students for the quality of and access to learning facilities. To reach a shortlist, the top quarter of UK institutions according to the average scores for the two categories – quality of and access to facilities – were selected and then normalised to take account of the levels of spending on learning facilities per student. The final list of eight, therefore, reflects universities that are achieving high student satisfaction scores for their facilities but at minimal cost. All but one are post-92 universities and, although they all come from England, they represent diverse areas of the country, from York and Huddersfield in the north to Portsmouth and Southampton in the south. Heading the list by some distance is Anglia Ruskin University. “These results show that some UK universities are viewed as having excellent learning facilities by their students even when the sums being spent are not necessarily astronomical,” said Simon Baker, THE’s data editor. The University of Kent’s School of Engineering and Digital Arts was praised by our judges for creating what they called a “personal, successful and genuinely happy place to work”. This was achieved, the panel said, by focusing on both formal staff development and a more informal calendar of events that “enhanced mutual respect, fostered collaboration and created a true sense of cooperation across staff roles”. Staff-focused initiatives recognised by the judges included the school’s “heart-to-heart” meetings between employees and managers, the head of school’s “open-door” policy, the encouragement of staff blogs and communication on internal forums and support for charity fundraisers. Academic and professional service staff were also given time to learn from each other, with the resulting one-to-one discussions leading to improved employee relations. Staff also frequently participated in national celebration days and other profile-raising events throughout 2016-17, including Chinese New Year, International Women’s Day, LGBT History Month, Mental Health Awareness Week, Jewish New Year and the Muslim festival of Eid ul-Adha. A year-round calendar of regular sporting events, including the school’s summer rounders match and its participation in the university’s interdepartmental sporting competition, also served to boost camaraderie, with sport used as a way for colleagues to bond, irrespective of age, gender and ability.